This year, shoppers can add the newly optional 19-speaker Harman Kardon premium stereo system to their Durango. When drivers choose the Trailer Tow package, they'll enjoy a new integrated trailer brake for optimal control over heavy loads. This three-row crossover SUV is available as five trim models: the SXT, GT, Citadel, R/T, and SRT. The Durango that's right for you delivers the rugged capabilities you need at a price that makes sense for your personal budget. Here's a closer look at some of the feature highlights of each trim model. The entry-level Durango SXT is nicely stocked with comfort and convenience features. 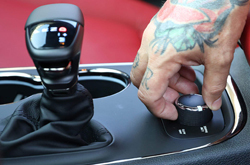 Keyless entry and ignition get you off to a smooth start every day. Fog Lights and a rearview camera maximize visibility. Inside, the three-zone automatic climate control provides three separate temperatures for premium road-trip comfort. 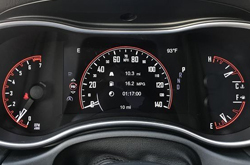 When you upgrade to the Durango GT, you'll enjoy savvier tech features. The remote ignition feature fires up the engine from across the parking lot. Use the power liftgate to quickly stow items in the cargo hold. Plug devices into the 115-volt power outlet to keep them fully charged. The auto-dimming rearview mirror reduces glare as you coast down the highway after dark. In the Durango Citadel, you'll find upgraded performance gear, including stronger brakes and automatic high beams. Automatic wipers boost visibility during a rainstorm. Inside, the Citadel is home to a wide range of luxury features, including leather and vinyl upholstery and leather trim. The sunroof makes this Durango light and open. Test-drive the R/T for increasing power and modern style. This Durango comes standard with V8 power as well as upgraded steering technology and brakes. The performance hood design is on your side as you speed around town. Inside, you'll find leather and simulated-suede upholstery and a nine-speaker Alpine audio system. If you prefer, you can choose the optional 19-speaker Harman Kardon audio system. Finally, the top-trim Durango SRT combines world-class comfort with blazing speed. This SUV comes standard with the line's fastest V8 engine and upgraded performance gear, such as Brembo brakes and an electronically controlled limited-slip differential. 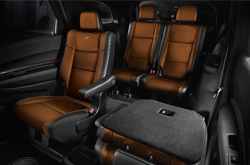 Inside, you'll find simulated-suede upholstery - or, if you prefer optional full leather upholstery. The ventilated front seats cool you down in a hot parking lot. The SRT offers an optional rear-seat entertainment system to keep your family entertained on long trips. In true Dodge style, you can choose from three engine options to create the Durango performance that speaks to your personal style. The standard engine is a 3.6-liter V6 that makes 295 horsepower and 260 pound-feet of torque. Move up to the Durango R/T for the 5.7-liter V8, a capable engine that boosts output to 360 horses and 390 pound-feet of torque. Finally, the Durango SRT supplies burning speed with a 6.4-liter V8 engine rated for 475 horses and 470 pound-feet of torque. Add all-wheel drive to any Durango for premium traction on off-road trails. Note that the Durango SRT comes standard with all-wheel drive only. Every Durango keeps passengers safe with a plethora of airbags. 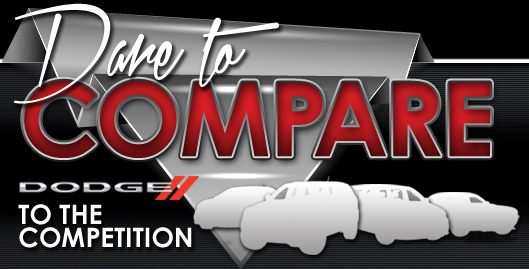 Performance gear like stability and traction control, help you maintain a safe ride. Add the Technology Group package for an all-encompassing bundle of high-tech driver aids. This package includes a forward collision warning system with automatic braking, technology that actively helps you avoid danger. The package's lane departure warning and lane keeping assist features keep you on the proper course. On the highway, the blind-spot warning system alerts you to any cars that might be cruising just out of sight. 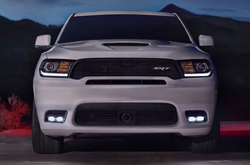 See the Dodge Durango in person at Airpark Dodge Chrysler Jeep in Scottsdale and test drive this phenomenal SUV.